Do I need to be at my ideal weight and fitness level to become a Pilates instructor? What if I can’t do every exercise? Do I need to be at my ideal weight? I challenge you to think about your favorite teacher throughout your life in any subject. This could an English teacher, a coach, a Pilates or Yoga instructor, or just a parent, grandparent, or friend teaching you about life. Did they do everything perfect? Did they know absolutely everything there was to know about the subject they were teaching? Of course not! But they did have more knowledge than you in a particular subject and they probably had more experience. They probably had a love or passion for the subject they were teaching that was almost contagious! I’m guessing they made you feel excited, successful and eager to continue learning! I’m also guessing that they were just as much a student of the work they were teaching, as they were a teacher. 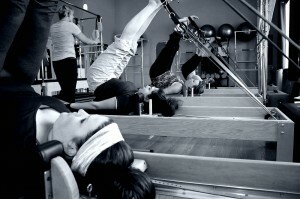 Pilates is a method of exercise that includes hundreds of exercises and variations of exercises. The process of learning the method in your own body, just like the process of learning to teach the method to others, is a continual, never ending process. It is important for you to have a consistent Pilates practice before you start the program but it’s ok if you have not perfected every exercise. As an instructor you will always be practicing and fine tuning the work in your own body and those experiences will continue to make you a great teacher!! We all come in different shapes and sizes and there are no weight or size requirements to becoming a Pilates instructor! Your weight and size definitely impact how you move your body but I consider this a gift. By learning how to practice Pilates in your unique body you will get the skills to help others of varying shapes and sizes do the same!! Do I enjoy helping others empower their bodies, just like my instructors have empowered me? How could deepening my own Pilates practice inspire my life? 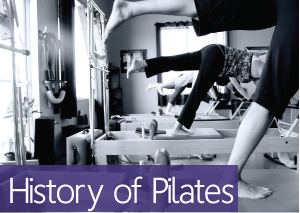 Click here to learn about the Body Precision Pilates Teacher training programs at Rivercity Pilates. Module 1 of our Comprehensive program starts in September 2015! !